BURBANK, Calif. – April 23, 2019 – Warner Bros. Interactive Entertainment today released the second SHAZAM! movie level pack for LEGO® DC Super-Villains: SHAZAM! on PlayStation 4, Xbox One, Nintendo Switch and Windows PC. The downloadable packs add new levels and DC characters inspired by the magical, Warner Bros. Pictures film, SHAZAM!. SHAZAM! 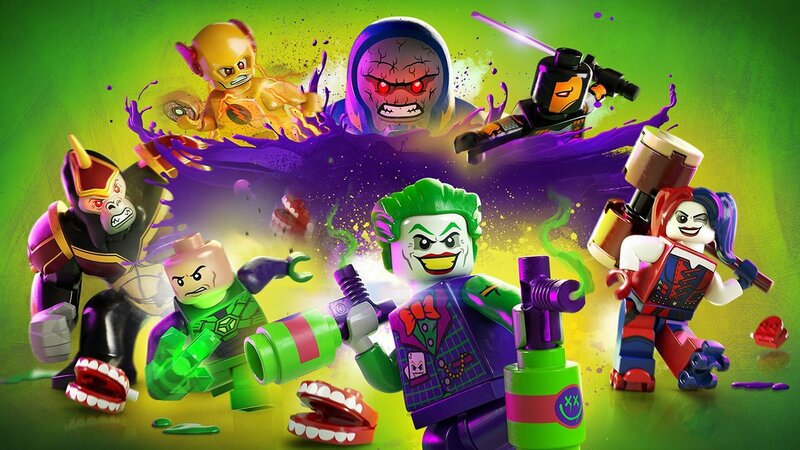 Movie Level Pack 1 and 2 are part of the Season Pass in the LEGO DC Super-Villains Deluxe Edition which can be purchased separately for $14.99. For players that want to purchase SHAZAM! Movie Level Pack 1 and 2 à la carte, they can now be purchased together in a bundle for $5.99. The SHAZAM! Movie Level Packs 1 and 2 offer players the chance to master the powers of favorite characters based on the Shazam! film including Billy Batson and Freddy Freeman who can transform into their Super Hero Shazam form, and unlock four characters embodying the sins of man unleashed by Dr. Sivana including Gluttony, Wrath, Pride, and Envy. The second pack adds villainous, Dr. Sivana, and the entire Shazam family to help you defeat him including Pedro, Eugene, Darla, and Mary, alongside the powerful, Wizard Shazam. Both packs expand the main game’s already large roster of over 150 iconic DC characters. Feeling like you need a LEGO fix? Now would be the perfect time to scratch that itch, as select LEGO titles are now available on the Switch eShop. This sale runs until March 13th, 2019. BURBANK, Calif. – March 4, 2019 – Warner Bros. Interactive Entertainment, TT Games and The LEGO Group today announced the physical launch of The LEGO® Movie 2 Videogame for Nintendo Switch™ system with a MSRP of $39.99. 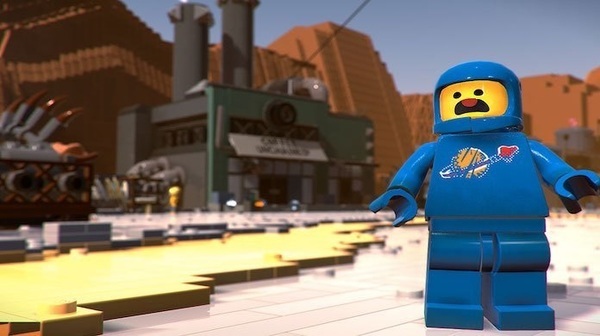 The game is inspired by the newly released sequel, The LEGO Movie 2: The Second Part, a big-screen animated LEGO adventure from Warner Bros. Pictures. Also announced were details about “Galactic Adventures,” the free post-launch bonus content coming to the game across all platforms in April. The downloadable content adds three new fantastical LEGO locations – Dis-Harmony City, The Queen’s Palace and The Rexcelsior. In the game’s Dis-Harmony City, the Justice League is dispatched from Bricksburg to fend off the Alien invaders. When their ship is swiftly destroyed and scattered across the stars, it’s up to General Mayhem to track down the Justice League and persuade them to join her. The Queens’s Palace location features General Mayhem in another wild adventure where she returns to find Queen Watevra Wa’Nabi in a panic because a matrimonial ceremony is not going as planned! General Mayhem must complete various wedding preparations and calm the Queen to get the ceremony back on track. The Rexcelsior content will tell the story of how Rex Dangervest befriended his Raptor crew aboard his flagship. Rex needs to complete various tasks to train his Raptors in fun and unexpected fields such as skateboarding and spaceship repair. Rex needs to get his crew in ship-shape if he wants to meet Emmett! The LEGO® Movie 2 Videogame is based on events that take place in The LEGO Movie 2: The Second Part as the story begins in the desolated wasteland of Apocalypseburg where alien invaders have left Bricksburg in ruins! Emmet, Lucy and his awesome crew of companions go beyond their world to save their friends from the strange inhabitants of the faraway Systar System. 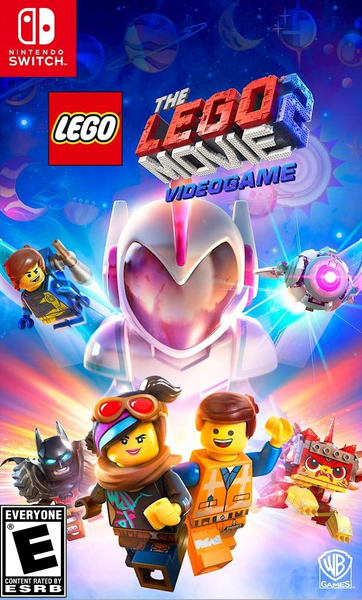 The LEGO Movie 2 Videogame is also available for PlayStation®4 computer entertainment system and the Xbox One family of devices. Two more upcoming Switch games are now delayed in Japan. Puru-Chara Friends: Hoppe-chan to Sanrio Characters and The LEGO Movie 2 The Game have both been pushed back, with Puru-Chara now due out July 11th, 2019, and The LEGO Movie 2 The Game bumped to March 28th, 2019. A brand new patch has landed for LEGO Worlds and it's packed with loads of lovely stuff for Sandbox Mode. Download it today on PS4, Xbox One and PC to see what gaming goodies await. Available for Nintendo Switch SUPER SOOOOOON! Burbank, Calif. – Sept. 6, 2018 – Warner Bros. Interactive Entertainment, TT Games and The LEGO Group today announced the LEGO® Harry Potter™: Collection, bringing LEGO® Harry Potter™: Years 1-4 and LEGO® Harry Potter™: Years 5-7 to Nintendo Switch™ and Xbox One® for the first time with both top-selling videogames remastered in one package. On October 30, 2018, LEGO Harry Potter: Collection unites the signature humor of LEGO games and the expansive Wizarding World for a thrilling journey full of spell-casting, potion-making, and puzzle-solving fun. Gamers can experience the entire LEGO Harry Potter adventure featuring content from the eight films with enhanced graphics, environments, lighting and visual effects, along with two downloadable content (DLC) packs. LEGO Harry Potter: Years 1-4 is based on the first four films—Harry Potter and the Sorcerer's Stone™, Harry Potter and the Chamber of Secrets™, Harry Potter and the Prisoner of Azkaban™ and Harry Potter and the Goblet of Fire™—allowing fans to experience Harry's first four years at Hogwarts School of Witchcraft and Wizardry in full LEGO form. LEGO Harry Potter: Years 5-7 transports players through the final four films—Harry Potter and the Order of the Phoenix™, Harry Potter and the Half-Blood Prince™ and Harry Potter and the Deathly Hallows™ Part 1 & 2—to experience Harry’s last years at Hogwarts™ and his battle against Lord Voldemort™ in the ultimate fight between good and evil. Warner Bros. Interactive Entertainment, TT Games, The LEGO Group and DC Entertainment today revealed a new character customization trailer for LEGO® DC Super-Villains, the first LEGO® game to put players at the centre of a villain-centric adventure packed with favourite locations and characters from across the DC universe, prior to the official start of San Diego Comic-Con 2018. The trailer focuses on the character creator feature and provides players with an extended look at how they can create and play as their own DC Super-Villain character, unleashing mischievous antics and wreaking havoc throughout the action-packed game. A player’s character becomes the centre of the story, while teaming up with an iconic variety of villains to adventure through the hilarious and original story written in collaboration with DC Comics.